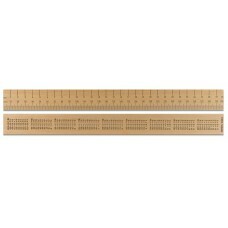 12" / 30cm Wooden Office Ruler 1-12" in 16"
Our awesome selection of rulers covers every base through from smaller 15cm rulers to metre rulers built from materials ranging from wood to plastic to metal. For school use, a ruler is a vital component of any pencil case. 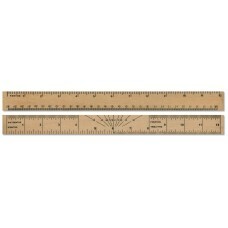 Rulers are a requirement throughout school and students use them every day, not just in mathematics but across all subjects for underlining titles, drawing diagrams and for drawing tables. 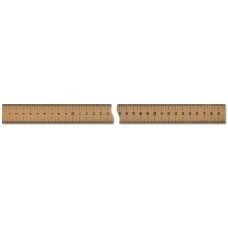 We stock a huge variety of rulers that are suitable for student use from wooden rulers through to plastic rulers and harder wearing metal rulers. 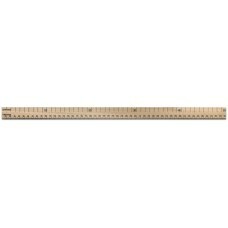 We also stock rulers with built-in protractors or scales that range from 1:2 to 1:2500. 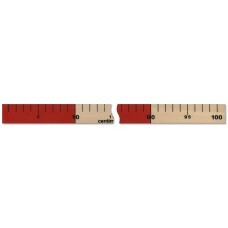 Our ruler stock covers all typical ruler formats from short 15cm models through to metre-sticks but we also cover niche scales and more mathematically-oriented rulers. 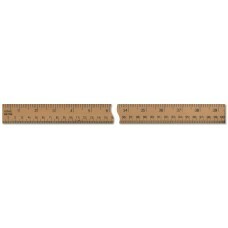 We don’t just provide single rulers but bulk packages of up to 100 rulers which are essential for schools and other educational institutions. Our bulk packages offer excellent value for money. We’ve taken care to collate the best rulers from the best manufacturers and we feel like we’ve covered everything. 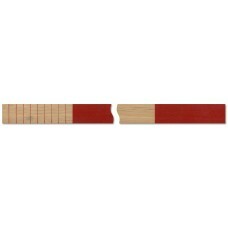 Our rulers are available in a rich variety of colours or in traditional opaque and transparent plastics. With every ruler manufactured with clear and accurate scales, we’re sure that our carefully selected stock can provide you with measurement devices suitable for almost any home-based or professional purpose. Finally, we stock a variety of eco-friendly recycled rulers which are ideal for infant use. With simple colour-coded measurement increments, they’re easy to use for those of any age. So, whether you’re looking for metal rulers which will last the test of time or plastic rulers for everyday use, you’ve come to the right place!